Ashlynn Ella wears a top, flared skirt with two back pieces, belt, and middle puff sleeves. 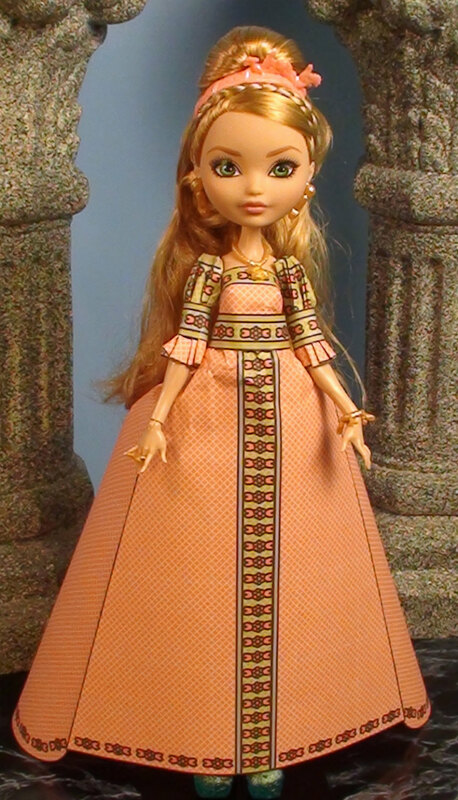 Ever After High Blondie Lockes wears a top, circle skirt, elbow length straight sleeves, and wrap around collar. Catwoman Barbie has a top, circle skirt, and wrap around collar. Luncheon Ensemble Barbie has a top, flared skirt with two back pieces, belt, combo sleeve (straight sleeves + half circle sleeves). 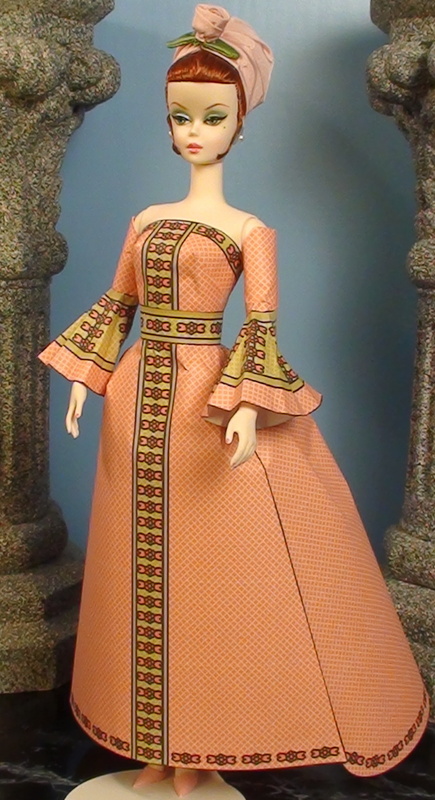 Enchanted Evening Barbie has a top, flared skirt, belt, and straight sleeves. 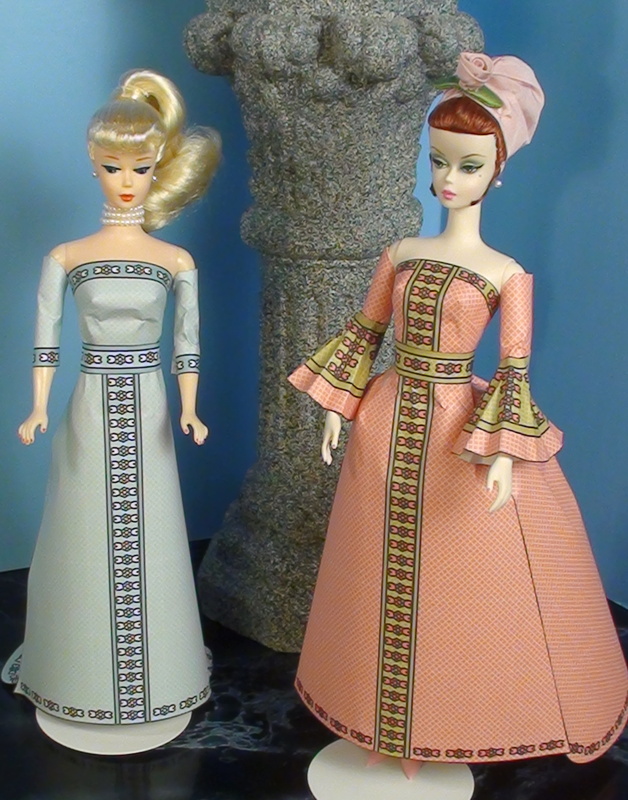 Silken Flame Barbie (Brunette) is wearing a top, straight skirt, and belt. 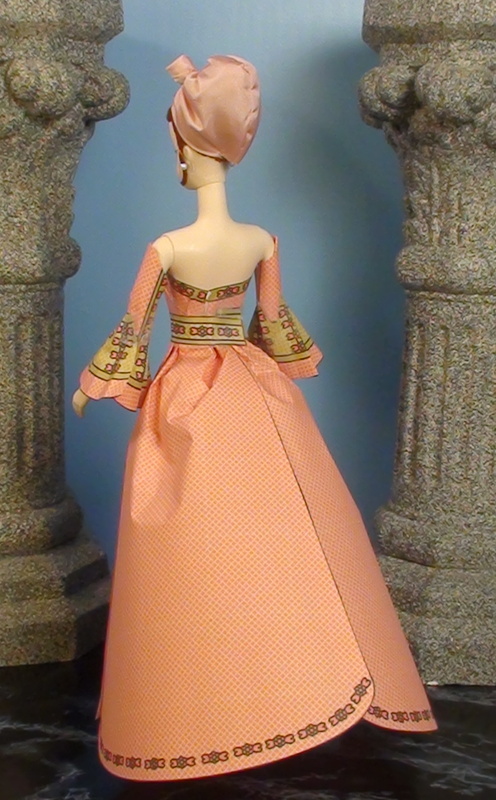 Barbie Stardoll is wearing a top, circle skirt, and puff sleeves.